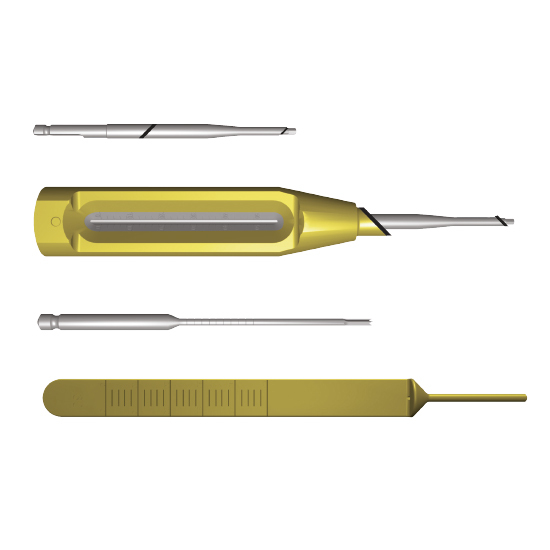 Fixing system 45B is dedicated to Hallux Valgus indication. 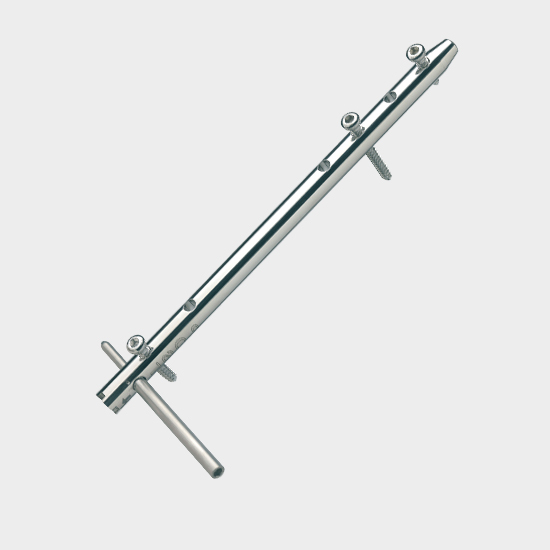 45 for the angle of his head and B for his bevelled profile. 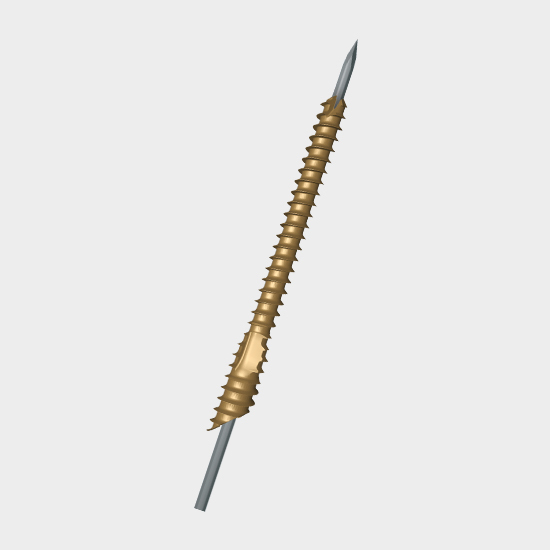 The 45B screw was designed with a bevelled head, allowing it to be inserted into the bone by minimizing soft tissue irritation. 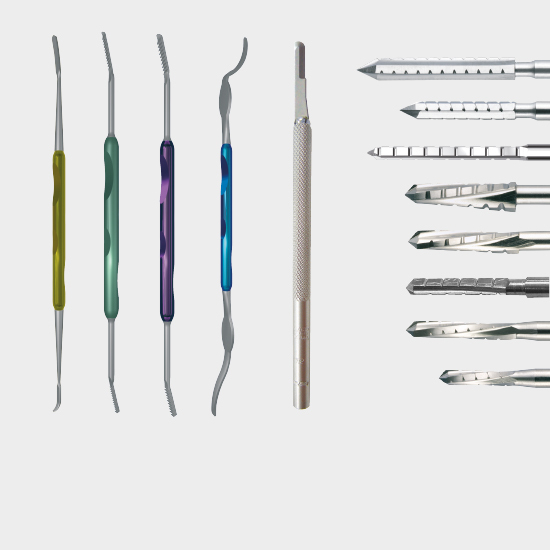 – Treatment of hallux valgus of the 1st ray with osteosynthesis without compression. 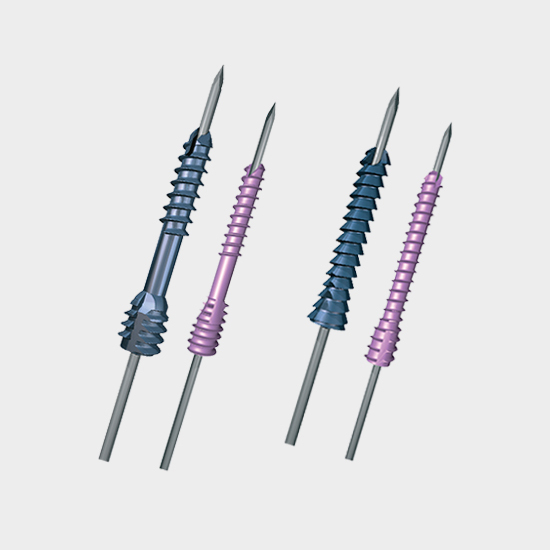 – Osteosynthesis without compression of forefoot fractures. 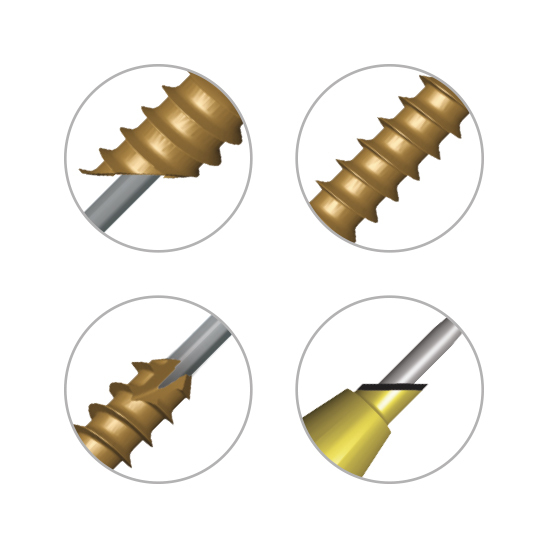 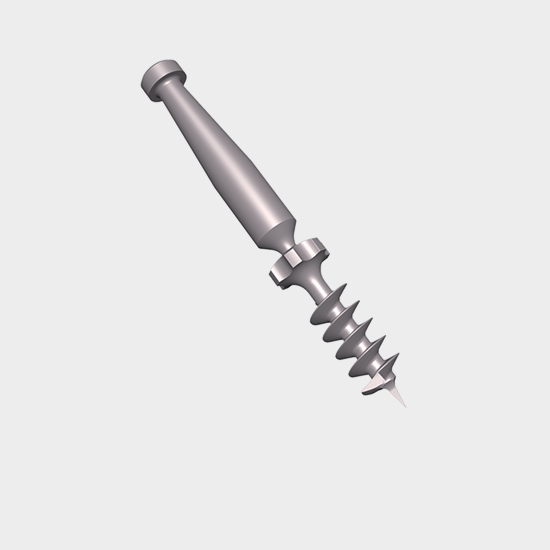 – Bevelled head: Minimisation of screw protrusion and soft tissue irritation thanks to the bevelled profile of the screw head. 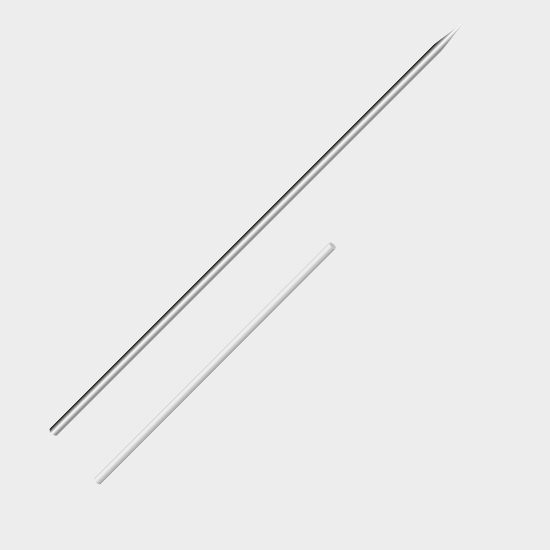 – Threading: Entirely threaded, non-compressive. 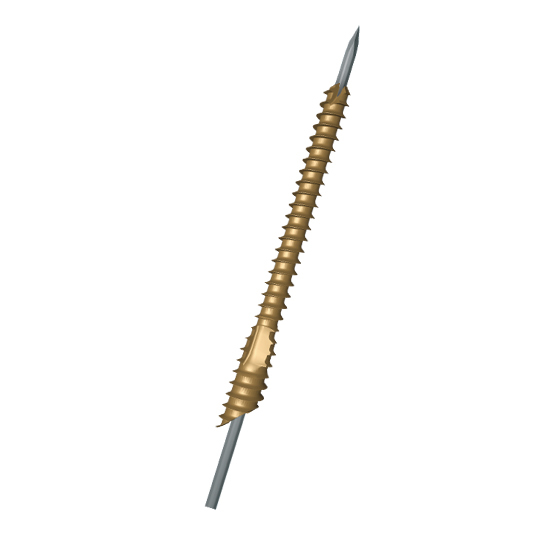 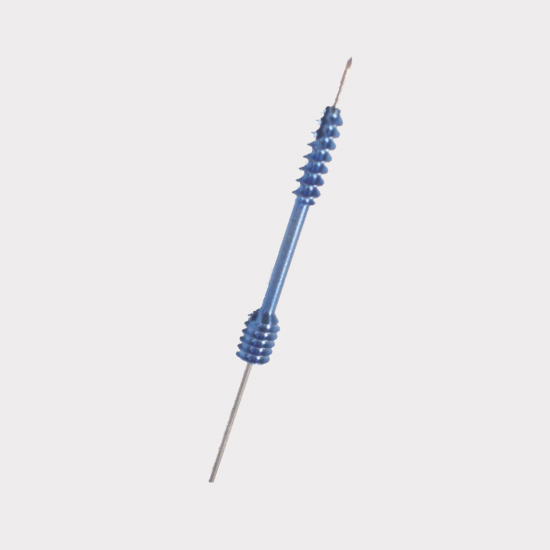 – Power driven screw: Self-tapping, Self-drilling. 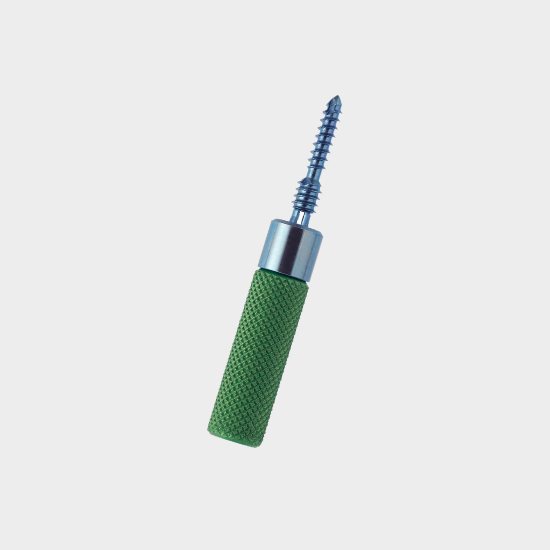 – Specific instrumentation: Screwdriver with bevel identifier. 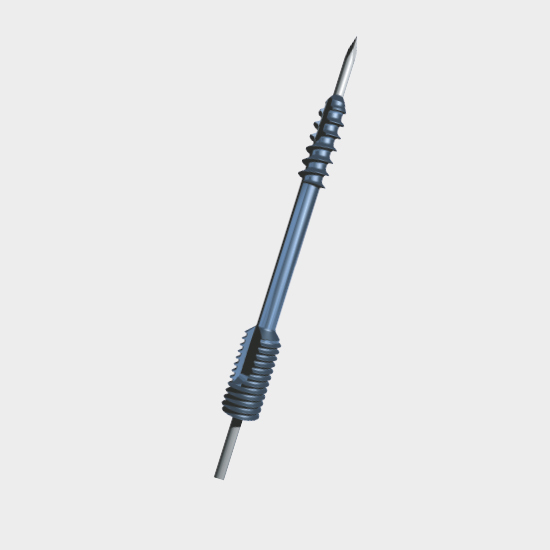 – Made of titanium alloy (TA6V4), biocompatible. 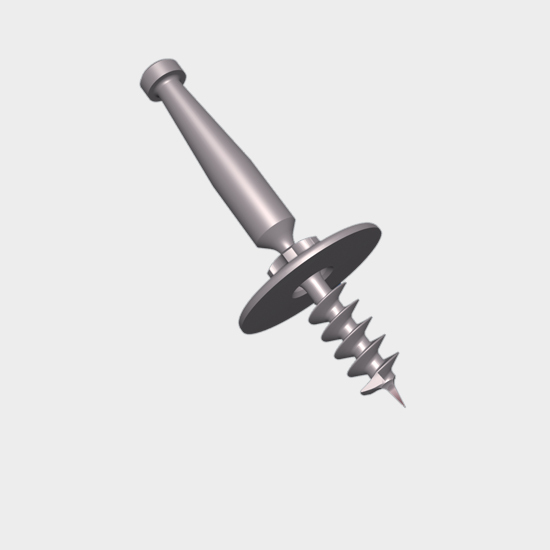 – The screws are delivered in sterile, unitary packaging. 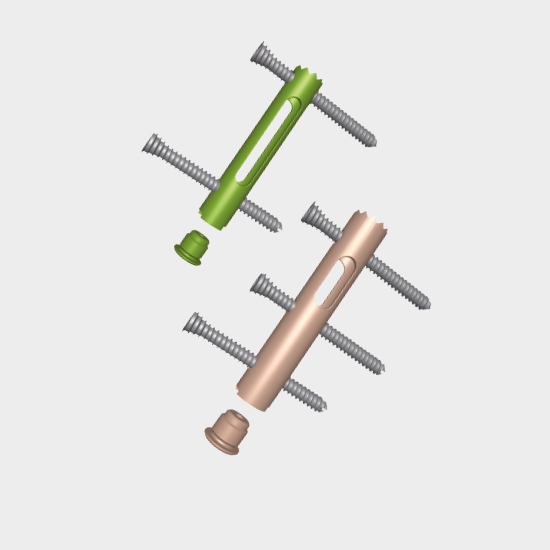 – Available in Ø 3 mm (gold anodizing).